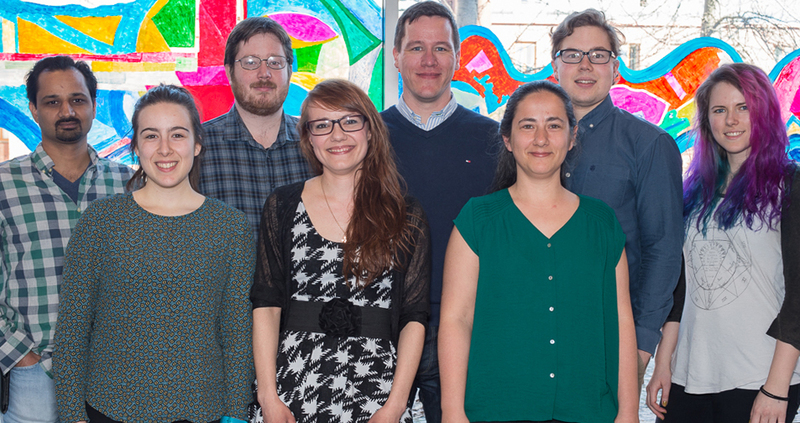 The Infection Biology research group studies the molecular mechanisms that enable pathogens to adapt to different environmental conditions during infection and transmission. Our lab primarily focuses on Vibrio cholerae, the causative agent of the severe diarrheal disease cholera. We are trying to understand how this organism senses and survives the radically different conditions it encounters during the passage through the host and into the environment. We are particularly interested in the c-di-GMP second messenger network that controls important adaptation mechanisms during infection and its impact on population dynamics, bacterial virulence and persistence under changing conditions. To this end, we employ deep-sequencing based methods to infer the spread of pathogens within and between hosts and combine it with bacterial genetics and live cell microscopy. The group is headed by Dr. Sören Abel, a NCMM Young Associated Investigator. We are affiliated with the Centre for Molecular Medicine Norway (NCMM, Nordic EMBL Partnership Molecular Medicine). While our primary location is at the University of Tromsø, there is substantial exchange with the group of Prof. Matt Waldor at Harvard Medical School, the group leader’s secondary affiliation. In addition, we share lab space and facilities, as well as have joint group meetings with the group of Dr. Pål Johnsen.